The Geopark concept arose in the mid-1990s as a response to the need to conserve and enhance the value of areas of geological significance in Earth history. Landscapes and geological formations are key witnesses to the evolution of our planet and determinants for our future sustainable development. From the outset, Geoparks adopted a "bottom-up" or community-led approach to ensure that an area's geological significance could be conserved and promoted for science, education and culture, in addition to being used as a sustainable economic asset such as through the development of responsible tourism. 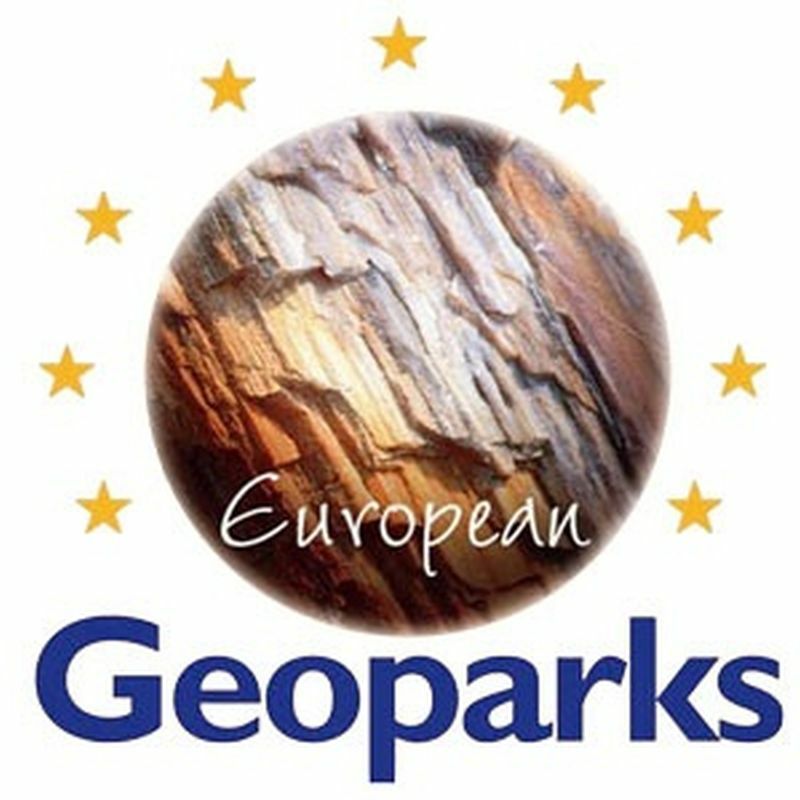 Main objective of the cooperation between Geoparks is the protection of geological heritage and the promotion of sustainable development of their territories in Europe. The above listed Geoparks signed a convention on Lesvos Island, Greece in June 2000 declaring the creation of the European Geoparks Network. The purpose of this general designation was to share information and expertise, as well as definition of common tools. 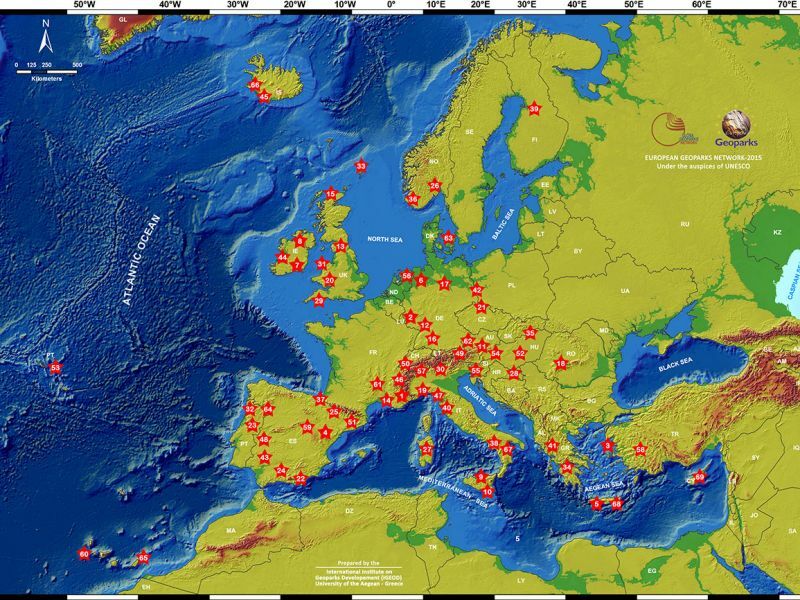 The Network owns the "European Geopark" trademark registered within all countries in the European Community. In April 2001 the network signed with UNESCO (Division of Earth Sciences) an official agreement of collaboration placing the Network under the auspices of the organization. In 2004 17 members of the European Geoparks Network and eight Chinese Geoparks came together to create the Global Geoparks Network (GGN). The GGN was founded in 2004 as an international partnership developed under the umbrella of UNESCO and serves to develop models of best practice and set quality-standards for territories that integrate the protection preservation of Earth heritage sites in a strategy for regional sustainable economic development. Collaboration among Global Geoparks is an important component of the international activities promoting networking on a regional basis. 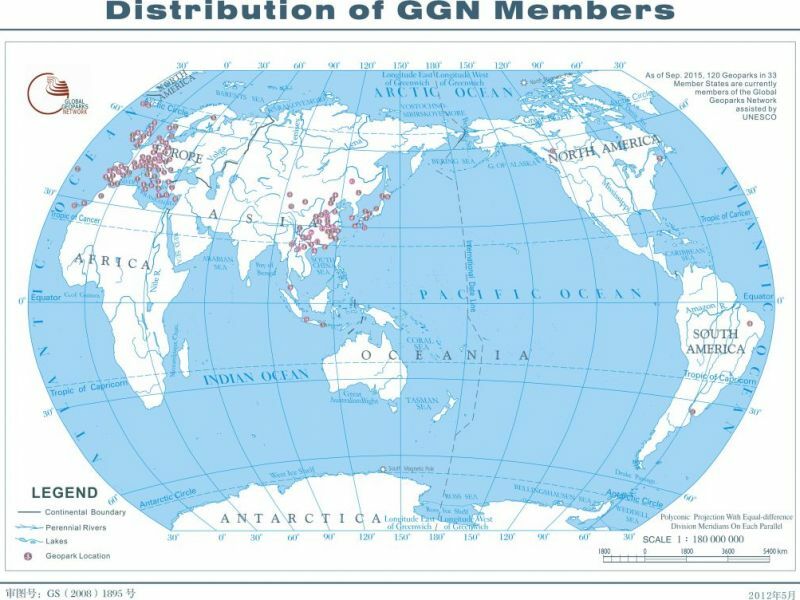 For Global Geoparks in Asia – Pacific the Asia-Pacific Geoparks Network (APGN) acts as the Regional Network of the GGN. For Global Geoparks in Europe, the European Geoparks Network (EGN) acts as the Regional Network of the GGN. Finally in November 2015 the 195 Member States of UNESCO ratified the creation of the UNESCO Global Geoparks. This expresses governmental recognition of the importance of managing outstanding geological sites and landscapes in a holistic manner. UNESCO Global Geoparks tell the 4,600 million year story of Planet Earth and of the geological events that shaped it as well as the evolution of humanity itself. Not only do they show evidence of past climate changes, they also inform local communities of present day challenges and help them prepare for hazards such as earthquakes, tsunamis and volcanic eruptions. 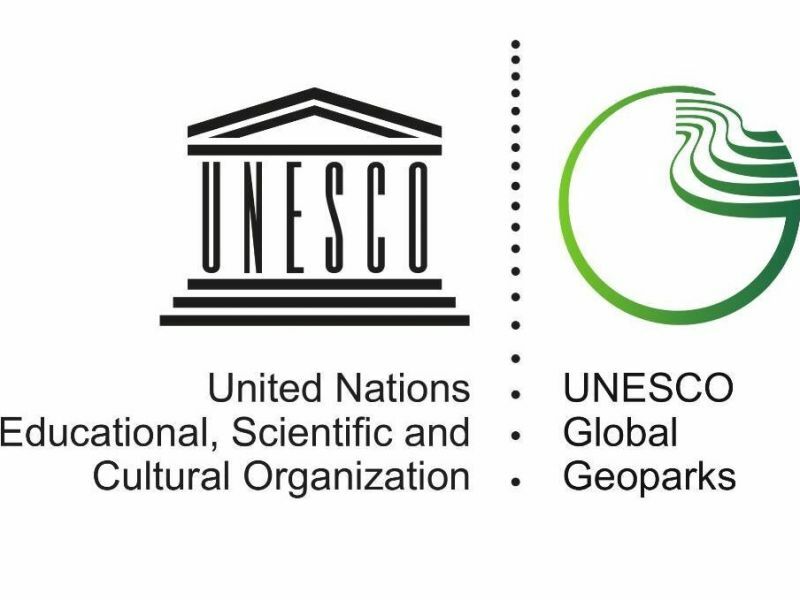 On 17 November 2015, during the 38th General Conference held in Paris, the 195 Member States of UNESCO established the new "International Geoscience and Geoparks Programme" (IGGP) and ratified the creation of a new label, the UNESCO Global Geoparks. 2 territory is in Africa [Morocco (1), Tanzania (1)]. UNESCO Global Geoparks strive to raise awareness of geodiversity and promote protection, education and tourism best practices. Together with World Heritage Programme (WHL) and the Man and the Biosphere Programme (MAB), UNESCO Global Geoparks form a complete range of sustainable development tools and make an invaluable contribution to the realization of the 2030 Sustainable Development Goals by combining global and local perspectives. For more information on UNESCO Global Geoparks on the UNESCO website click here. For the UNESCO Global Geoparks Publication click here. What is a UNESCO Global Geopark? A UNESCO Global Geopark is a territory, which includes a particular geological heritage and a sustainable territorial development strategy. It must have clearly defined boundaries and sufficient surface area for true territorial economic development. A UNESCO Global Geopark must comprise a certain number of geological sites of particular importance in terms of their scientific quality, rarity, aesthetic appeal or educational value. The majority of sites present on the territory of a UNESCO Global Geopark must be part of the geological heritage, but their interest may also be archaeological, ecological, historical or cultural. A UNESCO Global Geopark should be an area with a management body having legal existence recognized under national legislation. The management bodies should be appropriately equipped to adequately address the area of the UNESCO Global Geopark in its entirety. A UNESCO Global Geopark must have direct impact on the territory by influencing its inhabitants' living conditions and environment. It should actively involve local communities and indigenous peoples as key stakeholders. In partnership with local communities, a co-management plan needs to be drafted and implemented that provides for the social and economic needs of local populations, protects the landscape in which they live and conserves their cultural identity. A UNESCO Global Geopark must respect local and national laws relating to the protection of geological heritage. The management body must not participate directly in the sale of geological objects such as fossils, minerals, polished rocks and ornamental rocks of the type normally found in so-called "rock-shops" within the UNESCO Global Geopark (regardless of their origin) and should actively discourage unsustainable trade in geological materials as a whole. Where clearly justified as a responsible activity and as part of delivering the most effective and sustainable means of site management, it may permit sustainable collecting of geological materials for scientific and educational purposes from naturally renewable sites within the UNESCO Global Geopark. Italy is well represented at an international level with ten territories accepted in the UNESCO Global Geoparks network. The Italian Geoparks play a significant role for UNESCO, GGN and EGN, not only because of the very high number of involved areas, but also because of the quality the ten territories show at a national and international level. Italian Geoparks are a clear and authoritative evidence of the marvellous geological heritage of the country, even if by no means exhaustive. A prestigious award the ten Geoparks achieved by building innovative management strategies in their territories. In these areas geoconservation, together with educational, interpretative and enjoyment activities are able to activate virtuous practices to favour sustainable development, to promote territorial policies, always respecting and taking care of the local culture and community, proposing a new model to enhance the area. Pollino Geopark (Basilicata Region/Calabria Region) - 2015.